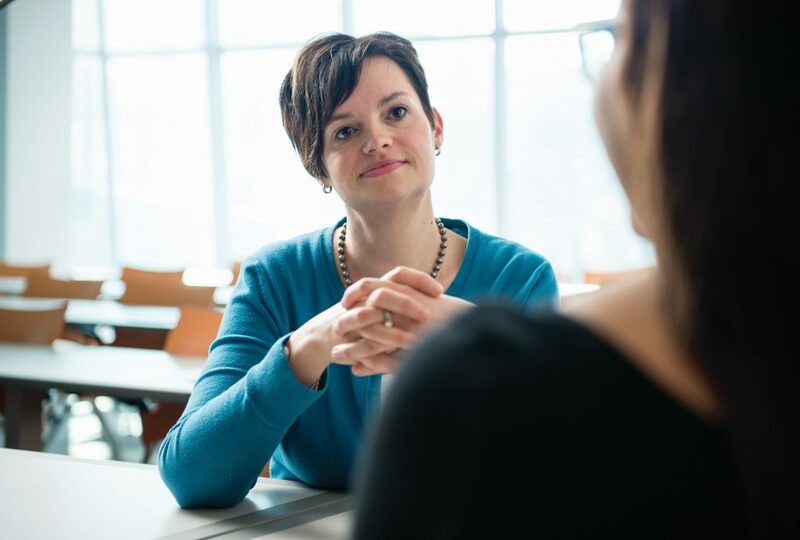 Despite her stellar academic performance in high school, by the mid-1990s Amanda Wornhoff found herself adrift at two different Big 10 universities, struggling to excel as a first-generation college student. Faced with the added strain of family health and financial hardships, Wornhoff eventually left school to find work. But years later, determined to complete her college education, she enrolled at Roosevelt University where she soared in the classroom, earning two degrees before landing a job on the faculty. Though she originally pursued math and engineering, at Roosevelt Wornhoff found English to be her real passion. She earned a bachelor’s degree in 2005 and master’s degree in 2008 both in English. The following year she was hired as a full-time member of Roosevelt’s faculty and now, in addition to her work as a lecturer and interim director of the English Composition Program, Wornhoff serves as co-chair of Foundations of Excellence, a self-study process designed to improve experiences of first-year students. Foundations of Excellence started at Roosevelt during the 2013-14 academic year when more than 130 members of the University community began studying and surveying the experiences of first-year students. The group looked at issues such as classes in which freshmen struggled, better ways to provide support and strategies to increase retention. Roosevelt currently has the largest full-time freshman class in its history, and Wornhoff believes this is the right time to more closely examine the many variables of the student experience in order to create structures that provide a strong foundation of academic, social and financial support for today’s first-year students. “This is especially important for Roosevelt students, whose personal success is often a catalyst for improving the lives of their families and their communities,” she said. Wornhoff and Linda Jones, co-chair of Foundations of Excellence and dean of Undergraduate Studies, have spent the academic year whittling down a list of recommendations and figuring out which ideas can be put into practice. Some improvements may include the creation of an advisory board of first-year students and the establishment of a single office or department to oversee all things related to freshmen. Amanda Wornhoff, English composition lecturer and co-chair of Foundations of Excellence, received both bachelor’s and master’s degrees from Roosevelt. A native of Pittsburgh who grew up in Crown Point, Ind., Wornhoff and her husband, Jeff, whom she met in the high school band, now reside in the Rogers Park neighborhood of Chicago. They have season tickets to the Chicago Fire Soccer team and enjoy taking in live music around the city. 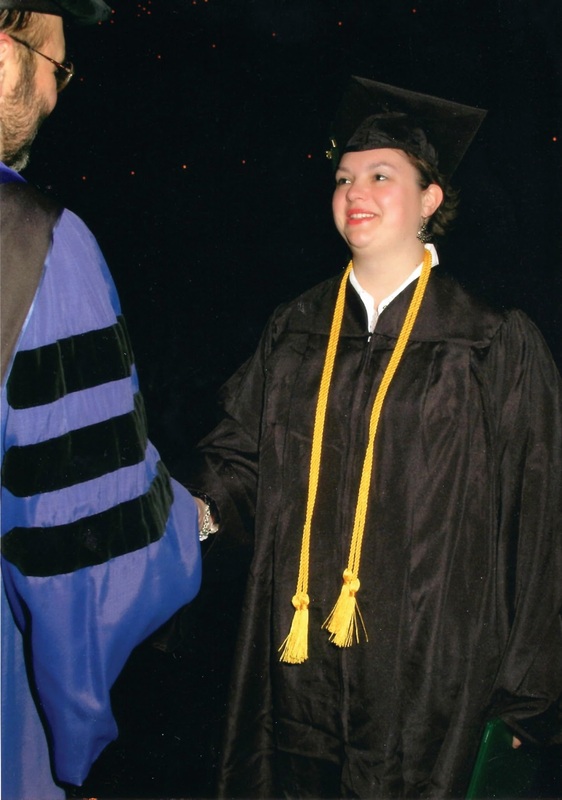 After graduating from high school in Crown Point, Wornhoff went to Purdue University as an engineering student, but quickly found college to be difficult, requiring a degree of independence and connection that she struggled to find. She ended up transferring to Indiana University to study math. Despite soon realizing that large university campuses were not for her, she continued on for several years until she was close to graduating. By then her father had fallen ill, her mother was working two jobs and she had trouble paying the bills. Wornhoff left school and spent the next six years as a legal secretary at various firms. In 2003, she was living in Chicago, had recently gotten married and decided it was the right time to complete her college education. “Our students’ courage and perseverance in pursuing their education, often in the face of serious challenges, are what inspires me and keeps me coming back for more. As the University focuses on the most important aspects of first-year students’ lives to help improve academic quality and increase retention, Wornhoff’s experiences will be invaluable. “I’m really proud to work at a place where people are so committed. I’m constantly impressed and inspired by the people who work here and how committed they are to students’ success,” Wornhoff said. I’ve been there! I graduated from Chicago Cathedral High School in the upper 25% and picked up 18 college credit hours at the time of that graduation, and 3 more the ensuing summer. Then I hit Loyola University-AND A WALL! I transferred to DePaul the following year and found the going difficult but tenable. When I hit Engineering School, I hit another wall; so I transferred to Roosevelt University where, after going through another difficult period, finally graduated with a Bachelor of General Studies degree-with a Concentration in Physics. Amanda is amazing. She boosted my confidence with her good advice, encouragement and genuine personality. Amanda Wornhoff has such a beautiful spirit! She was an instructor for a short-while as I dealt with stress from losing my grandfather to cancer…Such a caring and helpful individual!